South Dublin County Council has issued the Planning Notice for a new sports complex in Griffeen Valley Park. 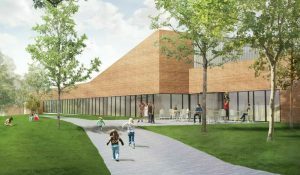 It will include a 25m pool, a gym and fitness centre, changing facilities of course and a cafeteria, the space will total 3,300 sq M in all. SDCC say that the development will not affect either the structure or the views of King Johns Bridge in Grifeen Valley Park. If all goes according to plan, the new complex could be with us by 2020. With a 2016 Census population of 32,134 and scheduled to grow with the 2017 SDCC Development plan, it will be a welcome addition for our young and our adult population. Caden Grimes Estates is a registered Estate Agent, PSRA Licence 001883, Based in Lucan and Dublin 2. Looking for a Valuation? Fill in the Contact Us Form on the left, we’ll be right back to you.